Engineering giant GKN is set to close one of its factories in Birmingham with the loss of 170 jobs. The group&apos;s aerospace division has announced it is shutting its base in Kings Norton in 2021 where it produces high-performance windscreens and windows for both civilian and military aircraft. The factory is expected to be wound down over the next two years with its work transferred to other GKN Aerospace sites or low cost areas. Staff numbers will not start reducing there until late 2020. Labour&apos;s MP for Northfield Richard Burden has accused Melrose Industries, the Birmingham-based listed investor which bought the group last year, of backtracking on assurances it made at the time of the £8.1 billion deal. But the turnaround investment firm hit back, saying it was not a decision taken by it but by GKN Aerospace&apos;s senior management team. 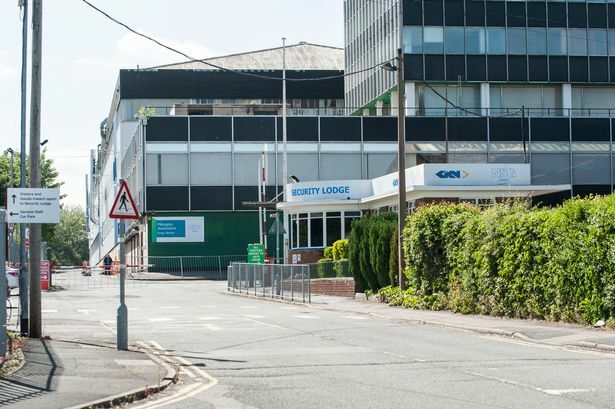 A statement from GKN Aerospace said: "Having carried out a thorough assessment of our King&apos;s Norton site, including our visible order book, capabilities and cost base, we have regrettably concluded that it does not have a long-term, sustainable future within the business. "There will be no immediate operational impact. "By taking this difficult decision now, we will be able to carry out a carefully managed site wind down process over a period of more than two years, leading to expected closure in 2021. "Over the coming months and years, we will seek to support all employees, including the opportunity to apply for roles elsewhere within GKN Aerospace. "We will now enter a period of consultation with nominated employee representatives." Mr Burden accused Melrose Industries of a breach of faith after its takeover which was the subject of intense debate. MPs and industry commentators feared the deal would undermine the UK&apos;s manufacturing base in key areas such as aerospace and automotive while others wanted the deal blocked on national security grounds. Melrose Industries made a series of undertakings to reassure the Takeover Panel of its commitment to UK manufacturing, with chief executive Simon Peckham saying it planned to return GKN to being a British manufacturing powerhouse which would compete on the global stage. Mr Burden, whose constituency includes Kings Norton, said: "Barely a year has passed since Melrose were falling over themselves to tell everybody how committed they were to UK manufacturing but their words ring hollow today. "Not only do they want to close a UK plant which is a key part of the supply chain for the aviation industry but their warning that production could move to &apos;low-cost areas&apos; means they plan to shift this specialised work out of the UK altogether. "In the light of the legally binding undertakings Melrose gave to him last year, I will be asking the Business Secretary to make urgent approaches to GKN about its latest announcement. "Whether or not the closure of GKN Aerospace breaches the letter of those undertakings, it runs contrary to the impression that Melrose sought to give of its intentions at the time. "It is a breach of faith with GKN employees, with my constituents and with UK manufacturing as a whole." A spokesperson for Melrose Industries said: "This is not a decision taken by Melrose Industries, this was taken by GKN Aerospace&apos;s management team."